After long waiting Samsung finally started with the first Ice Cream Sandwich updates for the Galaxy Tab 8.9 WIFI P7310. 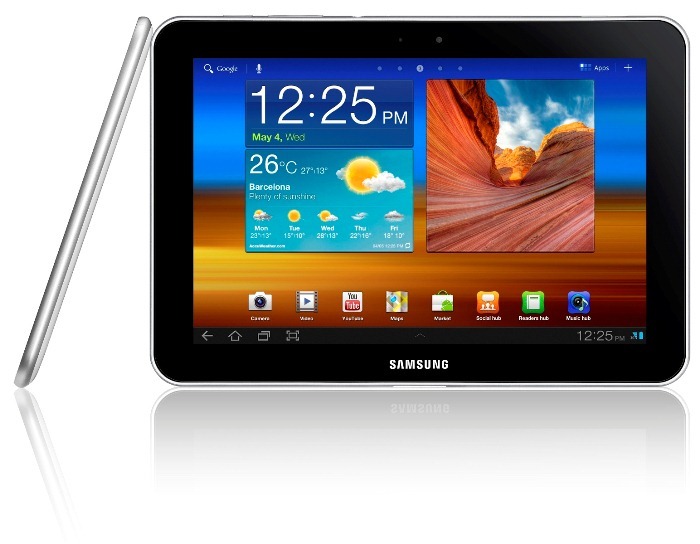 The Galaxy Tab 8.9 WIFI is the first generation of Galaxy tablets by Samsung. Were the new Galaxy Tab 2 WIFI (GT-P3110) just got it first Jelly Bean update. Samsung starts with the first ICS update for the Galaxy Tab 8.9 WIFI (GT-P7310). If you have the Galaxy Tab 8.9 WIFI GT-P7310 and you come from Malaysia you are able to update your Galaxy Tab trough Samsung KIES or OTA. Thanks to the Ice Cream Sandwich update your tablet will feel a lot faster and even the battery will be better. Android 4.0.4 Ice Cream Sandwich is the latest update for the first generation tablets by Samsung. The firmware is also downloadable trough our firmware page. SamMobile’s advice is to wait till Samsung KIES or OTA self! Hard to believe that the folks paying for monthly data on the 8.9 do not get an update and the free wifi tablet gets updates first. I have a 8.9 LTE, decent tablet, but if it gets left behind I’ll not buy another Sammy…even though I love my G3 and 8.9. Enough time?. Samsung basically needs to port Touchwiz, maybe some drivers. Only totally noob coders need a year to do it. Or maybe Samsung has only one coder for Gtab 8.9 and none for 3G version. Simply, these products are at the bottom of the Koreans priority queu. really dont understand the delay………upgrade is almost obsolete when they release it……….bugs anyone? @Ricoby: As I knew, up to now, just P6200/P31xx/P51xx models of Galaxy Tab series are official upgrable to JB. HTC just does not update or support it’s only talet anymore. Thats why i changed to Samsung. Would like to see Jelly Bean on my P7500 though. @robot I’ve seen them grass is always greener right…. @ Spike: No need for trolling. @MartinR : And you, have you seen Asus and their tablet on Jelly Bean 4.2 ? @ Spike have you seen other companies?? 4.0.4 now?? samsung, you are the biggest looser i ever see.